You go on vacation every year, but you never know what you need to take? And it's not until you arrive at the hotel, that you realize, you forgot your snorkeling equipment or your skis at home. And you're just about freaking out, when you remember you left the water running. Sound familiar? So you don't have to worry about these things anymore, we've created the ultimate travel check list. 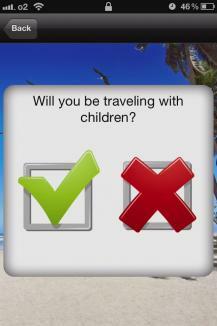 You can enter individually, what kind of vacation you're embarking on (be it to the beach or skiing), whether you're going with kids or in the car. On the basis of these and many more criteria, you'll get a list with all the things you have to do before leaving. Further, you can view your packing list, so you'll never forget anything anymore when going on vacation. We thought of absolutely everything and thanks to the individual selection in the pre-menu, you're only presented the clothes you really need. Who needs a beach towel on a skiing trip in the Alps, anyway? 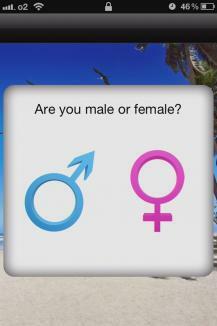 Should this app forget something you need, you can add it manually to use in the future. If there's too much variety for you, you can choose to view only the truly necessary things, making the list smaller. So you see, with this app, there's never gonna be that weird feeling of having forgotten something anymore. Vacation finally begins with leaving the house and you can let your smartphone do the thinking for you.